It was 1993. I was 10 and was always wearing jeans and baseball caps. I spent hours watching and playing football and going to arcade games venues full of classics like Street Fighter, Space Invaders or Contra. Kasia: Daddy, can I have more coins? I need to finish this game! My father: Yes sure, here you are. A guy talking to my Dad: What a nice child you have – plays football, likes arcade games. But why is your SON wearing long hair?? Yes yes. Until I was 15 and started being friends with my sister, who showed me how to do my make up and how to party, my world was only limited to sports (especially football of course) and spending my pocket money on arcade gaming. Any nice souvenirs from your childhood which are still relevant now when you are little bit older? “I have no idea, I only threw away some old, dingy white T-shirt.” I answered relieved. If there was any image on it, especially of this famous scientist, I would have remembered. “WHAAAAAAT! THAT WAS THIS T-SHIRT!! My white t-shirt with a faded image of Einstein that you cannot see anymore. But that was my favorite Einstein T-shirt. HOW COULD YOU?? ?” said Eryk even more hysterically. I already complained a few times that Swiss car parks are not big enough. Although taking into consideration my parking skills (or lack of them), none of car parks would be large enough for me. But today, I showed the very best of my talents. I spent my lunch break on going back and forth for 40 minutes on my parking space trying to oscillate between an orange wall and another car. 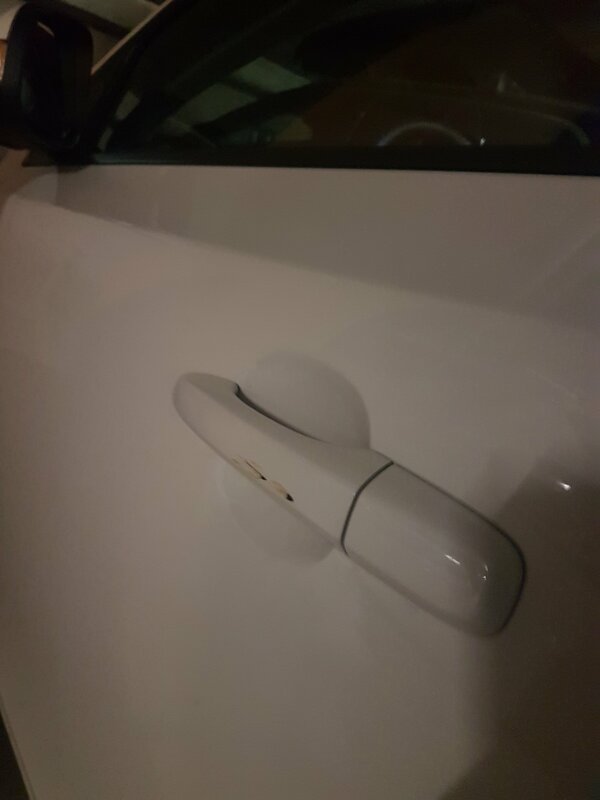 In the end, I celebrated my almost successful parking by scratching our handle on the left door three times. How did I not destroy the mirror, but succeeded in scratching the door handle only? Eryk claims, it is almost impossible to accomplish. He wants to see what angle I used to do it and proposes my achievement as a nomination for Noble prize in geometry… 😉 Even though there is no Nobel prize in mathematics… I fully deserve it. Have you ever followed a wrong group of people or sat down and started talking to a stranger thinking it is your aunt and realizing your mistake only after a few seconds? If not, don’t worry – it only means we are not related. As these kind of mistakes are common mostly in my family. If you did not recognize these symptoms yet. there is a big chance they won’t happen. It all starts in an early childhood, e.g. I once confused my uncle with my sister’s (and 6 years later also my) music teacher realizing it when I was already on his kneels wanting him to tell me one of stories from his sailor’s trips. Some thoughts on new words in our dictionaries. I read recently an article in BBC talking about a motivational sentence in Polish that helps people to take risks (“Jakos to bedzie” which we can translate vastly as “In the end it will be allright”). It motivated me to write a post about my observations about Polish language since 2006. I am not one of people saying “Hi, I am Polish but I started forgetting this language as I only speak French/German”. But it is true that there are some linguistic phenomena that I do not witness and find out about them either from my always up-to-date sister (she teaches at school so has lots of contact with young people) or some other friends when we visit Poland. One of first that we learned is an oldie already but we did not know it for about 2-3 years so when started using it, it was already outdated. It is a saying “Oj tam, oj tam”. It is hard to translate but it would mean “Oh don’t exagerate, it wil be fine” or “Come on, relax”. You see it is very difficult to translate many nuances in your mother tongue. Another one is “Taka sytuacja” which I did not know. It literally means “The situation” and some people would write it under a photo that they posted on Facebook to say something like “See what happened below”. Last month we had a visit from our Polish friends. As they were travelling by car and it is a long route, they dressed comfortably into a training suit that in Polish you would call “dresy”. They started making fun of these clothes as in Poland if you were them, you are called “Polski dres” or “Polski drehol”. You were “dresy”, you drink a cheap wine and do some acts of vandalism. And then I found out about “slowianski przykuc” which would be a position you take when posing to these kind of photos in “dresy” and about “kolczan prawilnosci”. I am still not sure what it is. Maybe these words existed long time before but I was really not aware of them. To not only practise Polish, please check out below 24 new words in English that you should add to your dictionary. But before that, tell us about some new words in any languae you know. Share your linguistic experience (lingsperience 😉 ) with us. Are you on board for a beer with me? Why are Swiss car parks so small? Why?! Remember we travelled to USA this year. Big outlets, big natural parks, big beaches, big everything. Also cars and car parks. – an indoor car park near CS Towers in Oerlikon. Didaskalia: Action takes place on October 2nd, 2017 during Zurich Film Festival during the premiere of the movie by Roman Polanski “D’après une Histoire Vraie” (“Based on a True Story”). On October 2nd, I went with a friend of mine Aga for the premiere of the newest movie by Roman Polanski “D’après une Histoire Vraie” (“Based on a True Story”). I will not tell you the whole story but soups play crucial roles in the movie (apart from outstanding Eva Green and Emmanuelle Seigner). There is always something scary happening after one of main characters eat a soup. Didaskalia: Action takes place on October 8th, 2017 in the apartment of one of protagonists called Marcelina A. An opportunity to face my soup-phobia appeared not even one week after the soup curse. We were invited by our friend Marcelina to her new flat. As a starter, she served us pumpkin cream soup. At first, I was afraid but…. what the heck! Nobody, even an Oscar winner will tell me what I should eat. Our moods were great. We finished the soup, nobody choked, Poland was winning 2:0 against Montenegro. The main protagonist and cause of all drama – THE soup. Na ja, es war nicht einfach fur uns von Genf nach Zürich zu ziehen. Ohne gute Deutsch (ich muss noch mit mein Deutsch herumschlagen aber ich hoffe es ist immer besser 😊), ohne Wochnung und mit viele andere ernstliche Probleme. “It was 1980 something and it was awesome.” That is how many episodes of the series “The Goldbergs” ends. I am not here to promote this show (although I do love it and I think this show is great, you should watch it😉), but this show reminded me about the past I wanted to take a small trip back to this period. Everybody has different memories from the eighties. I have so many that I cannot pick up the favorite one but one of the best were movies, music and games. Some of memories are from eighties/nineties as in eighties I was still only 6-7 and could not watch or do many things. Number of times I watched “Back to the future” ever since I watched it, or “E.T.”, “Never Ending Story” … These movies did not have special effects like movies nowadays. But they had a soul and a brilliant idea that many movies do not have nowadays. Who did not dream of driving a DeLorean, befriend an extra-terrestrial and help him to go back home or travel on a giant dog. 😊 These movies are like a masterpiece and we still watch them to remember old times but also as they had an amazing plot. Most people know I really like video games. Sure, I really enjoy nowadays graphics in Assassin’s Creed or GTA. But games on old Nintendo or Atari were the best… I remember hours spent on Nadral, Baloons or River Raid…. I absolutely loved it. I had an old Atari on cassettes so you had to pray your father does not step into the room when it was loading, if he did you had to install it once again but it was so worth it. The first portable game was the old and most popular Russian game – “Nu,pogodi” in which you as a wolf had to catch all eggs and get points of it. I also remember when my brother in law went to Italy to visit his sister and I asked him if he could buy me a new Nintendo Game Boy. When he came back I was the happiest. Even if the first game they included was Othello – a board game! And I wanted Mario Bros! Eventually I got Mario and played it all the time. Another memory from my childhood involves going with my father to Arcade Rooms where you had all machines (Polish we named them flipery) and I spent hundreds of coins on them. I remember one time I run to my Dad in a baseball cap and asked for more coins when he was talking to a guy he just met. The guy said, “Your son looks super nice, but why is he wearing long hair?” 😉 That was one of moments I started realizing I should also hang out more with girls and start wearing more feminine clothes as well talk about lips sticks etc. It was already 1993 and I was 10. Do not get me wrong, I am still not so old to be grinchy about the new times. Everybody knows I love new gadgets and I do appreciate today and tomorrow with amazing discoveries and progress we are making. Just sometimes I would like to come back to easier times when I was just 8 and my only problem was that I missed an episode of “Alf” or lost a level in Nadral. P.S. I just received on fb a post from my nice friend Ewa, who was born only in the last year of eighties but also remembers its awesomeness. She mentioned this video, which I did not know beforehand but I am sure you will also enjoy, especially my compatriots. The video is by a Polish band Rebeka and the clip’s title is “Today”. It was 4567,7 miles of pure happiness and adventure. We saw the largest living organism on Earth, survived 49 Celsius degrees and walked atop the largest super volcano in North America. We had some thrill when almost stepping into a rattlesnake or driving in unpredictable California.